"Julianne is the real deal. She's perceptive, creates positive energy around herself (and others) and inspires and uplifts with her wise counsel and intuitive expertise. I'd highly recommend Julianne to anyone wanting to know themselves at a deeper level and experience the presence of an intentionally conscious soul. Namaste'!" "Julianne is an exceptional reader! I have received many readings from talented peers and hers was by far the best. She was detailed and has such positive energy to share!" "Julianne is so amazing to work with. When I receive a message that resonates with me deeply and is uplifting/relieving to hear, it makes me cry, and that happened to me three times during my first session with Julianne. She gave me so much useful information about who I really am at the soul level and some practical things I can do to further my goals and development, as well as lots of encouragement. She was very intuitive and told me several things that I already knew were true. It was great confirmation that I'm on the right path and doing my mission right now. So much of what she told me answered questions that I didn't even know I had. I was blown away by the priceless value I got out of the session." "Julianne has taken her natural talent, coupled it with an amazing education, and developed a gift for humanity!!! A friend of mine was going through a difficult time so I purchased a reading for her. Despite my friends shame and denial, Julianne was able to get through to her because of her gift and authenticity!! My friend was very protective of her situation but Julianne was not swayed by her denial she continued to counsel her ... as a witness to the reading and my friend's situation, I was amazed at Julianne's unwavering accuracy and compassion. I didn't know how to help my friend. I am forever grateful that Julianne was available to help her!!! Thank you!" "My boyfriend and I both got a reading from Julianne! It was amazing. Her connection with the Angels was so peaceful. Everything our Angels said were right on with our past. For me the reading made me stronger and it is guides me through life. Just knowing I am not alone and my Angels are with me all the time is such an awesome feeling. I've been taking the guidance the Angels told Julianne to tell me, and life seems so much clearer now. I felt her love and energy. She has a gift and I feel blessed that I was connected with her. Would love to do it again in the future. Thank you Julianne & The Angels!" "I had an amazing reading! I was able to finally connect with myself and better understand some things that went on in my life. 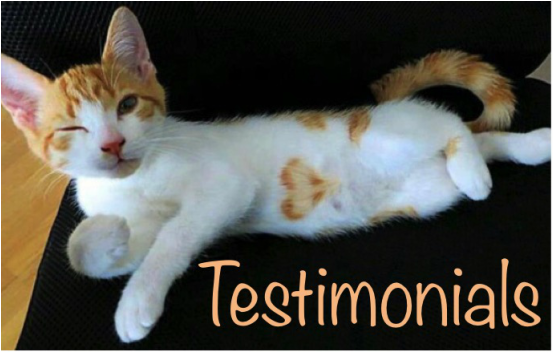 I now feel more refreshed and confident in myself and know that no matter what I will be ok."
"I had a wonderful reading with Julianne. Her connection to the Angelic Realm was impressive. I received a lot of wonderful insight from her reading." "Julianne was amazing in every way possible. I feel at peace. I feel like everything that she was telling is very true. Nobody knew about the guys that my mom had in her life, or how I love to dance. I know that I like to keep things to myself and that's why it is hard to let others in." "I had a very wonderful reading. I had some questions and was very happy with the explanations. Julianne was very clear with her insights and made me feel very good because she went the extra mile. She used all her resources to get me the answers I needed." "Julianne is so amazing! She saw very clearly into the heart of what was going on for me and my energy, how I had gathered many guides around me, as well as helping me to connect more with my guardian angels and my own personal power/higher self. Her reading helped me to make peace with feeling some feelings that I was having a hard time with, and also to feel strong in my own gifts and abilities. I highly recommend working with her." “Honestly, I didn't have a clue what an Angel reading was but I needed some insight from my friend, Julianne, so I thought I would give it a try. I am not a non-believer but I was skeptical. I was going to be attending a meeting scheduled in a few days where I was going to review my life with my community. I was at a crossroads and needed to clear up some things that were in conflict for me. In the Angel reading Julianne described to me what was going to happen and created a safe place for me to be open to a new experience. She proceeded to talk about what she saw happening around me. I would listen and comment or ask questions. I could feel her put her total attention on me and my soul. Through our dialog I was reminded of my purpose, playfulness and perfection. Her observations allowed me to have a safe emotional release that felt great! I left clear headed about the upcoming meeting and optimistic about its outcome.